Please scroll down to see the products. Our Decorative Elements have endless possibilities. 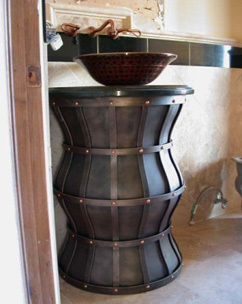 Powder room basin cabinets, range hoods, wall art and iron table bases just to name a few. 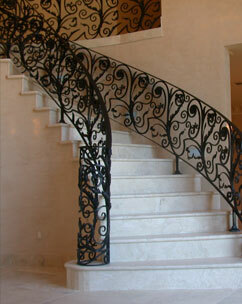 Decorative Elements can be fabricated from bronze, copper, iron or mild steel. Let your imagination run wild. 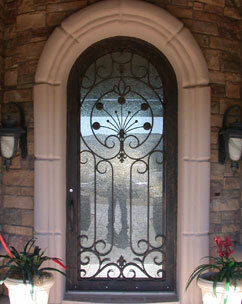 Our Iron and Glass Doors are completely hand-crafted right here in Phoenix, Arizona. They are made from the highest grade of steel and iron. At 2" thick, they are the most substantial doors available. No other iron business can come close to duplicating the craftsmanship or quality doors we produce. We use dual pane insulated glass. From clear to opaque's, a nice selection is available to enhance your exquisite iron door. Our finishes are expertly applied. Powder coating is also available. Hand-crafted Door Pulls are available, perfectly proportioned to compliment your door’s design. 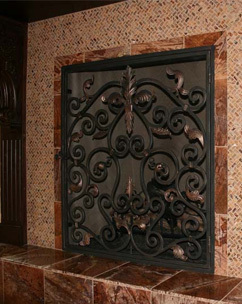 Compliment your room with a hand-crafted custom Fireplace Screen. From a simple to elegant design, creativity is unlimited. 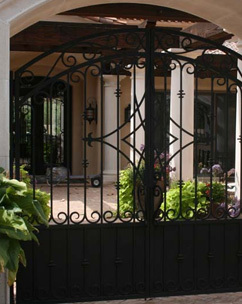 What a difference a beautiful, exquisite Gate makes to the overall appearance to your home. Courtyard Gates, Grand Entry Gates, Pool Gates, Roll Gates, Service Gates, we do them all. Custom hinges and latches available. 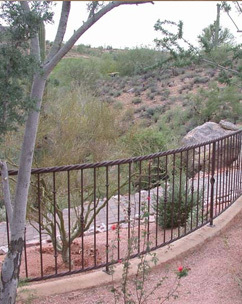 A custom Iron Fence does not have to obstruct your view. It can add to the landscape to enhance your surroundings with elegance and grace. Why have a basic Iron Railing when you can create an enchanting, decorative design to add interest and intrigue to your staircase, balcony or patio complementing your complete design. 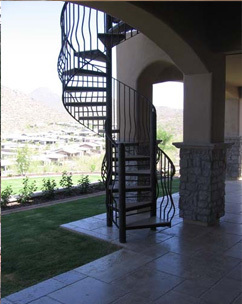 When it comes to Spiral Staircases nothing is impossible or too complicated for us to configure a unique and creative architectural inspired design.